Brexit and branding: What will happen to trademarks after Britain leaves the EU? A trademark attorney reveals how Britain's exit from the EU will affect trademarks, as well as the companies using Brexit branding to sell products. When it was announced a Brexit referendum would take place, the Chartered Institute of Trade Mark Attorneys (CITMA) collectively said "this is not good", recalls Kate O’Rourke, a trademark attorney and chair of the CITMA's Brexit task force. 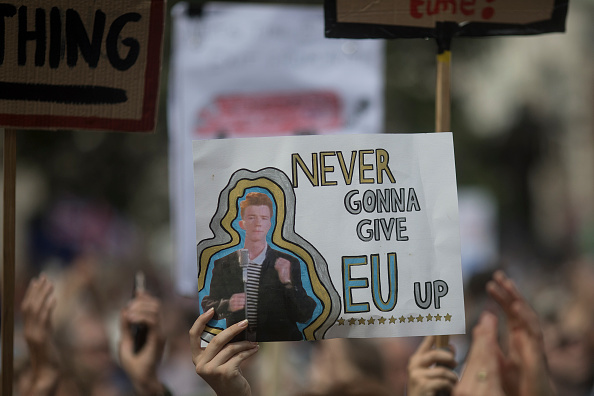 The referendum prompted the CITMA to take a political stance for the first time in its history, and after the result was announced, the professional membership association established its Brexit task force to find a way to protect EU trademarks in a post-Brexit world. "When people voted for Brexit they didn’t think about the impact on the protection of trademarks in the EU," Ms O'Rourke told talkRADIO. "Given the impact that Brexit will have on the protection of trademarks, we set up a task force in order to liaise with the government, with the European Commission and the EU trademarks office to make sure that the impact was as minimal as possible, and that it was as sensible as possible." 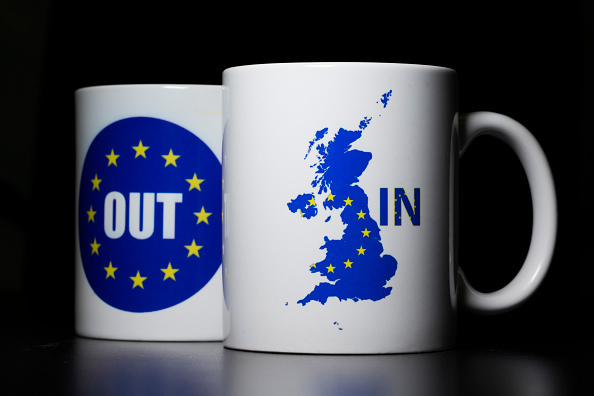 How will Brexit affect trademarks? Currently, businesses can establish a trademark in the UK or apply for a European Union Trade Mark (EUTM), which covers all 28 countries in the EU. The government has committed to an automatic division of all established European trademarks in the event of both a deal or no-deal Brexit. This means trademarks in operation across the EU will be split into an EU mark and a separate UK mark, rather than one overarching EU trademark, which has been the case so far. There are around 1.3 million UK companies that have trademarks registered across the EU. "They [the government] have committed to this automatic division of all European trademarks into the EU 27 and a separate UK mark. That’s the best result we could hope for," Ms O'Rourke said. Trademark applications that are currently pending will not be eligible for the automatic division, and will have to pay to refile their applications in the nine months following March 29, a move which Ms O'Rourke says is "not perfect, but not bad". Can the word 'Brexit' be trademarked? The word 'Brexit' can be trademarked as long as it is not in relation to the process of the UK leaving the European Union, so it could be used in relation to perfume, clothing, drinks and food. In the months following the referendum, a number of companies attempted to capitalise on Brexit. Among the numerous Brexit-themed registered trademarks are English Brexit tea, cheese brand Brexit Blue, and the theatrical production, Brexit - The Musical. However, not all applications have been successful. “When the first application was filed to register Brexit as an EU trademark in July 2016, it was rejected," Ms O'Rourke explained. "It was for drinks and for tobacco, and the trademarks examiner in the EU Intellectual Property Office rejected the application on the basis it wasn’t distinctive, because everyone knows that Brexit is used as a word for the process of the withdrawal of the UK from the EU, but she also said that citizens would be deeply offended if the trademark were to be registered. “Why this is so entertaining is because that decision was appealed and the board of appeal of the EU said don’t be ridiculous, it would not be offensive to anyone to have Brexit registered for products like drinks, so they allowed it to go through."